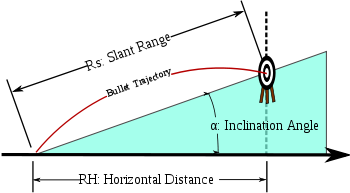 Trajectory: the path followed by a projectile flying or an object moving under the action of given forces. For example, the curved path along which something (such as a bullet) moves through the air. In thinking of directional price trends, you may consider how the beginning of the trajectory is steep sloping and then it begins to level off before declining downward (if it doesn’t hit something along the way).